Learn practical, field-tested strategies that will help you put the Health back in healthcare! This course features lectures from the popular Heal Thy Practice-Transforming Patient Care 2014 conference held in West Harrison, NY. 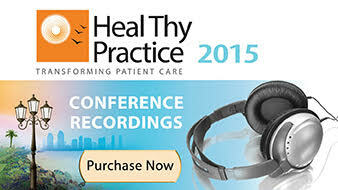 Whether you’re contemplating a major practice change or simply looking for practical advice for improving the fiscal health of your practice and the physical health of your patients, you’ll find a wealth of valuable guidance from Heal Thy Practice 2014. Our renowned faculty offers you their real world, field-tested experience and practical steps for creating and maintaining a healthy and health-focused integrative practice. Heal Thy Practice, produced by Holistic Primary Care, is the nation’s leading conference dedicated to practice transformation & the implementation of integrative care. The 2014 program held in a woodland setting in Westchester County, New York, offered equal measures of clinical skill-building, nuts & bolts practice development, and inspiration from some of the pioneers and key opinion leaders in holistic/integrative medicine. Dr. Jeffrey Gladd graduated from Indiana University School of Medicine in 2001, and trained in family medicine at Ball Memorial Hospital in Muncie, IN. After completing his residency in 2006, Gladd started a full-spectrum family practice in Columbia City. He completed the University of Arizona Integrative Medicine fellowship program at the end of 2009, while serving as medical director of the Parkview Center for Integrative Medicine in Fort Wayne. In 2010, he opened GladdMD Integrative Medicine, a direct-pay practice where he blends health-promoting care with high-access technology. 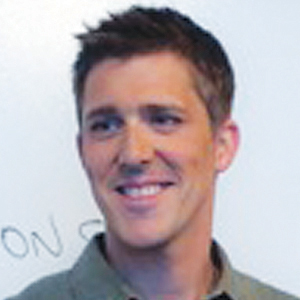 In 2011, he created and launched the web's first nutrient depletion calculator, Mytavin.com. His technology focus currently is on building GladdMD.com. With the success of GladdMD, Dr. Gladd has become a sought after speaker on physician entrepreneurship, social media, and technology in healthcare. He is a regular speaker at Holistic Primary Care's annual Heal Thy Practice conference, and chaired the 2013 and 2014 conferences. He assists the Arizona fellowship by sitting on the business panel annually. 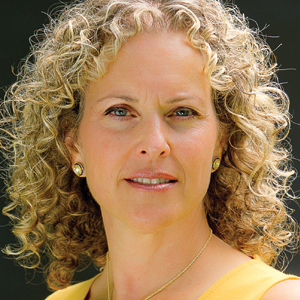 Dr. Susan Blum, is the Founder & Director of the Blum Center for Health, a clinic dedicated to facilitating a personalized healing experience by creating partnerships with patients while providing cutting-edge Functional Medicine. Dr. Blum completed her Internal Medicine training at St-Luke's Roosevelt Hospital, and her residency in Preventive Medicine at The Mount Sinai School of Medicine in NYC. She is Board Certified in Preventive Medicine. She holds a Masters in Public Health at Columbia University, and her training in Functional Medicine from The Institute for Functional Medicine, in Gig Harbor, Washington. In addition to her role as Founder of Blum Center for Health, Dr. Blum is assistant Clinical Professor of Preventive Medicine at the Mount Sinai School of Medicine, and serves as an Integrative Medicine Specialist at Greenwich Hospital. She is also a member of the Senior Teaching Faculty at the Center for Mind-Body Medicine, and teaches throughout the world in their training programs. Dr. Blum recently published her first book, The Immune System Recovery Plan (Simon & Schuster), detailing her proven four-step program that has helped thousands of patients reverse their symptoms and prevent future illness. 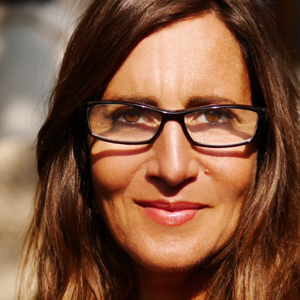 Anita Teresa Boeninger is a New York-based integrative health educator with a background in Clinical Social Work, Mind-Body Therapies, Performing Arts, and Somatic Movement Education. 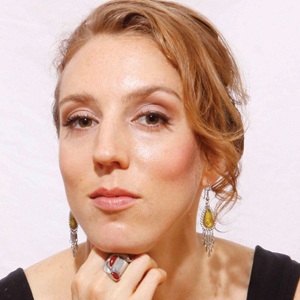 She was a Heath Educator in the Department of Integrative Health Programs at NYU Hospital for nearly five years, and is the founder of SOMA Wellness Arts, using a range of mind-body modalities to connect clients with their innate healing intelligence and full potential. 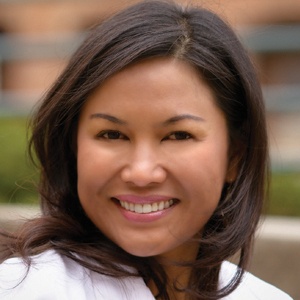 During her tenure at NYU Langone Medical Center (NYULMC), Anita innovated an extensive array of staff wellness education, corporate wellness education (to clients of NYULMC), and administered a pre-surgical preparation program to thousands of patients. She trained in New York with Dr. Martha Eddy, a pioneer in somatic movement, and continues to collaborate with experts in the field of neurology and mind-body integration. Anita has delivered a plethora of health and wellness presentations to corporations and organizations in New York City over the past 8 years, including Bank of America, West LB, Cotton Inc, Rockefeller University, the You Can Thrive Foundation, NY Insight Meditation Center, the Creative Center, Bellevue Hospital, the Hospital for Joint Diseases, Gensler Inc, and many others. 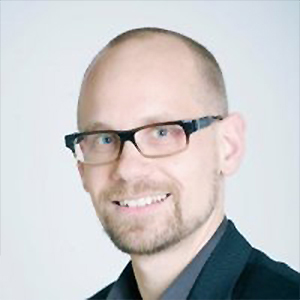 Thomas has a Masters in Internet Technology from the IT University of Copenhagen, Denmark, and more than 15 years experience of working with software. He has extensive experience as a management consultant, helping IT and software companies improve their software development processes using Agile and Lean methods. After thirty years of conventional means when dealing with his allergies, Thomas took matters into his own hands. He applied his business and technology methodology and applied it to "debugging" his own health condition. Melissa Crispell is a Certified Lifestyle Educator, Certified Wellness Coach, Clinical Nutritionist, ACSM Certified Personal Trainer, and a former High School Basketball and Lacrosse Coach. She is also a triathlete, marathoner, and budding yoga & surfing enthusiast. Melissa’s passion for teaching others about nutrition, excitement of sharing in others' wellness success, and helping women & teens reach their athletic potential has come together as Long Term Wellness, her lifestyle and wellness coaching practice. As a Clinical Training Specialist for PERQUE and ELISA/ACT Biotechnologies she has the privilege of working with integrative medicine thought leaders as well as students and healthcare professionasl just starting their integrative practice. Melissa consults with and coaches healthcare practitioners in building a thriving functional nutrition business. Dr. Derrick DeSilva, Jr, a practicing internist with 25 years of clinical experience in Edison, NJ. He is a Senior Attending Staff Physician, and Co-Chairman of the Department of Integrative Medicine at Raritan Bay Medical Center (RBMC), Perth Amboy, NJ; He is also a member of the teaching faculty at JFK Medical Center, Edison, NJ. He has won the Best Doctor Award by Castle Connolly for the past 13 consecutive years. Dr. DeSilva has a longstanding commitment to nutrition-based practice and holistic medicine. He is currently chairman of the Age Management Medicine Group (AMMG), and a past-president of the American Nutraceutical Association. 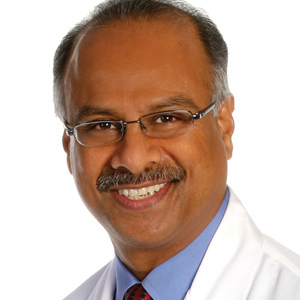 Dr. DeSilva has extensive experience educating conventionally-trained physicians about the scientific and practical aspects of nutrition-based, prevention-focused healthcare. A popular media voice for integrative medicine in the tri-state area, Dr. DeSilva is host of "Ask the Doctor" on WCTC Radio. He is also a medical correspondent for Cablevision (News 12 NJ) and Host of "12 to Your Health," and has hosted medical segments on CNN and appearing as a guest on numerous national television programs, including ABC Night Line. 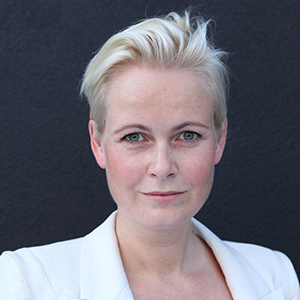 Mette has a Masters in Economics from Aarhus University School of Business & Social Sciences, Denmark, and also graduated from Institute for Integrative Nutrition. In her twenties, she was affected by severe chronic illnesses that took her from being highly active and earning top grades to being incapacitated and unable to read a book; from working as a model to being overweight and medicated like an elderly person. With a constantly changing and ever expanding array of different diagnoses she felt like she had been shelved. To try to find patterns and gain insights to help herself, she started tracking her own condition. Her early work in self-tracking led to the creation of Mymee, a technology platform that empowers patients and practitioners to identify non-obvious but very important symptom triggers. Having felt the powerlessness of being an “unsolvable case,” Mette put her business skills to work to help empower others in a similar situations. 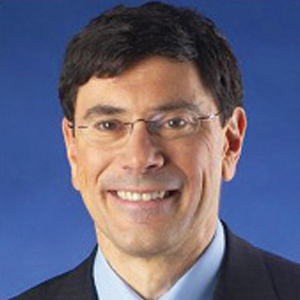 Joel M. Evans, MD, is a board certified OB/GYN, and the Founder and Director of the Center for Women’s Health, where he practices Integrative Obstetrics and Gynecology. He is also the Chief Medical Officer of Liiv.com, a start-up technology company funded by Eric Schmidt and Jim Held, to provide the latest health information to health care consumers, physicians’ offices and the enterprise market. Dr. Evans’ book on the holistic approach to pregnancy, The Whole Pregnancy Handbook (Gotham, 2005), has received widespread critical acclaim and media attention. Dr. Evans also serves as Assistant Clinical Professor of Obstetrics, Gynecology and Women’s Health at the Albert Einstein College of Medicine, and is member of the core faculty of both the Center for Mind/Body Medicine and the Institute for Functional Medicine. recognized as the first physician in Connecticut to be Board Certified in both Holistic Medicine and ObGyn. Dr. Evans utilizes a wide variety of complementary and alternative therapies in his own practice, which blends the best of modern medicine with the wisdom of traditional healing. Dr. Paul Evans trained as a psychologist, researcher and software designer, and began his career as a researcher and writer at the National Science Foundation (NSF) where he wrote Science and Technology reports for Congress and the Executive Office of the President. Following NSF, at IBM he was on the team that launched the first IBM PC and was responsible for IBM's Digital Publishing Studio. For IBM's global education initiatives he developed technology based literacy programs to teach children and adults to read and write. After IBM, at EDS (now, Hewlett Packard) and AT Kearney he was consulting Partner on Internet and Electronic Commerce; and later, Executive Vice President Worldwide at the NYC advertising powerhouse Young and Rubicam, where he was in charge of Y&R's digital strategy and Marketing Lab. He is CEO of the International Research Institute for Wellness and Prevention, where he works with Dr. Kopera on health-promoting projects that combine science, emerging technology and accelerated human potential. 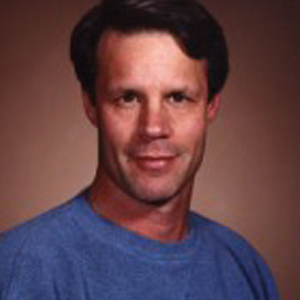 A resident of Hilton Head Island, SC, Dr. Hickey is founder of the Hickey Wellness Center. He is a respected physician Board Certified in Internal Medicine. A graduate of the University of Notre Dame and New York Medical College, Dr. Hickey completed his residency at The Albert Einstein College of Medicine and served as a Clinical Instructor of Internal Medicine at New York Medical College. Dr. Hickey brings his passion for research and his tenacity for identifying root causes to the care of his patients with complex medical conditions. He has specific expertise in the areas of fibromyalgia, arterial disease, heavy metal toxicity and autoimmune diseases, and has published research regarding Lipoprotein Subclasses and Carbohydrate Restricted Diets in the context of cardiovascular disease. In addition to heading his own practice, Dr. Hickey also currently serves as Medical Director for Hyperbaric Therapy of the Lowcountry. Dr. Ronald Hoffman is founder and Medical Director of the Hoffman Center in New York City, one of the New York area's first holistic clinics, which he started in 1985. He earned his MD from Albert Einstein College of Medicine, and trained in Internal Medicine at the Manhattan VA Hospital. He subsequently attended the Tristate School of Traditional Chinese Medicine and obtained New York State certification to perform acupuncture. 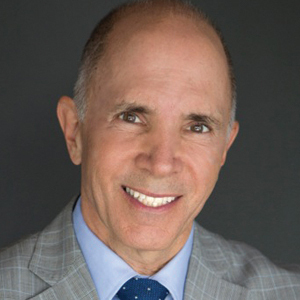 He is a Fellow of the American College for Advancement in Medicine and the American Academy of Environmental Medicine, and is a Certified Nutrition Specialist of the American College of Nutrition (ACN). 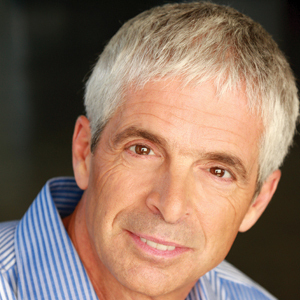 Dr. Hoffman is also the author of several popular books, including the Diet Type Weight-Loss Program (1989); Seven Weeks to a Settled Stomach (1991); Intelligent Medicine (1997); and most recently, Natural Cures That Really Work (2007). expertise in holistic medicine, Dr. Hoffman is host of the popular nationally-syndicated radio programs, Health Talk, and Intelligent Medicine, the longest-running physician-hosted medical talk show on the air, heard Saturdays on the WOR Radio in New York and in syndication across the country. This has made him one of the Northeast's most widely recognized voices for holistic healthcare. He is active in several medical professional organizations, and is a past President of the American College for Advancement in Medicine (ACAM). 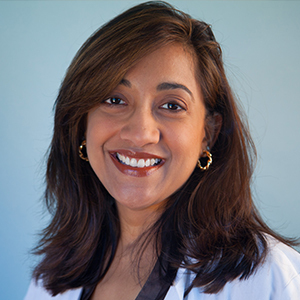 Dr. Kazmi earned her MD from the Robert Wood Johnson Medical School, New Brunswick, NJ. During her time as a medical student, she served as chair of the American Medical Student Association, and worked as a staff pharmacist at Pathmark Stores Inc. She completed a residency in internal medicine at the University of Medicine & Dentistry of New Jersey (UMDNJ)-Robert Wood Johnson Medical School, and then joined the University Center at Princeton and St. Peters University Hospital as a house physician. During that time she volunteered as a faculty member at her alma mater and served as a fellow within the Department of Hematology and Oncology. After a year in the role of Chief Fellow, Dr. Kazmi joined Hope Community Cancer Center as a hematologist and oncologist. Dr. Kazmi is board certified in hematology, medical oncology and internal medicine. She is a member of the American Society of Clinical Oncology, American Society of Hematology and the Medical Society of New Jersey. Throughout her career, Dr. Kazmi has written abstracts and conducted numerous cancer research studies, while at the same time deepening her understanding of integative medicine, a path that led her to Cancer Treatment Centers of America at the Eastern Regional Medical Center. As a medical oncologist and hematologist at CTCA, Dr. Kazmi individualizes each patient’s treatment plan to fit their specific needs. 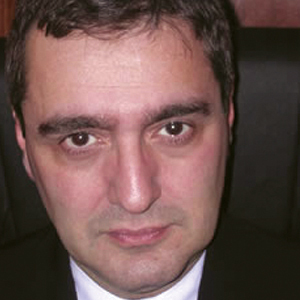 Dr. Aimon Kopera, Chief Health Scientist of the International Research Institute for Wellness and Prevention, serves as principal investigator of health research and directs protocol development and food assays. For over 20 years, Aimon has been involved in global health initiatives. Dr. Kopera earned her MD from the American Global University School of Medicine, Belize. Early in her career she served in the International Medical Relief Operation under the United Nations. Her health science focus is based on knowledge and experience of Western Medicine and Eastern approaches to wellness and the importance of "Qi" or "life force" the vital energy that life carries. She uses emerging technologies to monitor and assess life force energies and intervention protocols. A master level Tai Chi Qigong practitioner, her expertise applies internal arts of meditation, visualization and contemplative practices, as well as, life force food science for weight reduction, wellness and health restoration. An experienced businesswoman and entrepreneur, Dr. Kopera envisions new value added models for preventive health care. 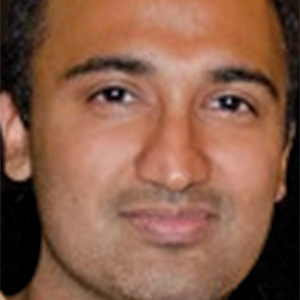 A general surgeon practicing in Los Angeles, Sarath Malepati, MD, is the Medical Director of the PPC Group, a California-based health research and product design team focused on improving patient care and public health through expanding transparency and knowledge transfer between clinicians and patients and developing simple solutions for common healthcare problems. Growing up in a large multi-generational physician family, Dr. Malepati was raised in an environment that had a strong emphasis on humanitarian pursuits. He earned his MD in 2006 from Wake Forest University Medical School. He went onto study, perform research, and teach at over 15 universities nationally and internationally. At the age of 25, Dr. Malepati was the youngest faculty member at Georgetown University School of Medicine. He is a former fellow of the National Institute for Health Care Management. Prior to joining the PPC Group, Dr. Malepati previously worked under grants from the National Institutes of Health and the National Science Foundation. Dr. Malepati is honored to join the 2014 Heal Thy Practice speaker panel to discuss his concerns over inappropriate antibiotic prescribing patterns among clinicians, the role of patient pressure in this problem, and potential solutions developed by his group. James Maskell is CEO of Revive Primary Care, a new project dedicated to restoring the health of the nation by combining dedicated holistic practitioners with a scalable, digital, education platform. Revive's intention is to inspire a revolution of empowered health advocates. Originally from the UK, Mr. Maskell studied Economics at the University of Nottingham, with a focus on the food and healthcare industries, before following a 'rebellious' career path in investment banking which proved short-lived. However, his time in banking showed him an important fact: world focus on short-term gain across all industries, but particularly healthcare and food, were costing society in the long run. In 2005, James moved to the US, with the objective of working to help shift the health paradigm of the country to incorporate true primary care: nutrition, exercise, prevention and holistic therapies. For 18 months, he was instrumental in the running The Spa on Green Street, a holistic day spa in Gainesville, GA that seeks to be a model for the integration of spa and holistic medicine. 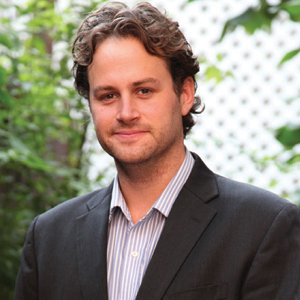 Since moving to New York City in 2007, he founded the Functional Forum, a monthly meet-up for NYC-based integrative physicians and holistic practitioners, as well as the Evolution of Medicine Summit, an online educational program featuring many of the world’s experts on functional and holistic medicine. Dr. Menolascino has over 25 years of health care experience, beginning with completion of Medical School at the University of Nebraska Medical Center, followed by training in Internal Medicine at Banner Health, Barrows and Mayo Clinic Arizona. He is one of very few physicians Board Certified in Internal Medicine, Holistic Medicine, and Advanced Hormone Management and Anti-Aging Medicine. He additionally has a Master's Degree in Pharmacology and Immunology, and was a doctoral candidate in the Medical Scientist Program assisting with Clinical Trials of new medications as well as part of the Heart Disease Reversal Team with Dr. Dean Ornish. His allopathic medical knowledge is complemented by advanced training and clinical experience in Nutrition, Naturopathic, Chinese Medicine/Acupuncture, Ayurvedic Medicine and Homeopathy. Dr. Mark Menolascino has pursued extensive continuing education with over 2,000 Continuing education hours in Integrative Medicine. His Center for Advanced Medicine is a direct-pay functional medicine practice that provides patients with comprehensive holistic medicine in an atmosphere of respect and caring in which improved health is not just possible, it is expected. 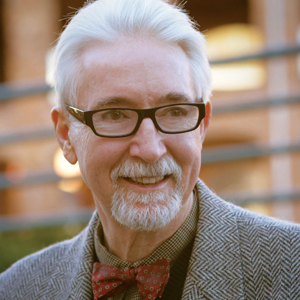 Dr. Thomas O'Bryan, DC, CCN, DACBN is an Internationally recognized speaker and workshop leader specializing in Gluten Sensitivity and Celiac Disease. A graduate of the University of Michigan and the National College of Chiropractic, Dr. O'Bryan is a Diplomate of the National Board of Chiropractic Examiners, a Diplomate of the American board of Clinical Nutrition, and a Certified Clinical Nutritionist with the International and American Association of Clinical Nutritionists. While in clinical practice, Dr. O’Bryan specialized in treating chronic disease and metabolic disorders from a Functional Medicine Perspective. He holds a teaching Faculty position with the Institute for Functional Medicine, and the National University of Health Sciences. He serves on the Scientific Advisory Committee of the International and American Association of Clinical Nutritionists and the Medical Advisory Board of the National Association of Nutritional Professionals. Dr. O'Bryan's passion is in teaching the many manifestations of Gluten Sensitivity and Celiac Disease as they occur inside and outside of the intestines. He recently founded the Celiac and Gluten Sensitivity Certification Program, to offer in-depth training for clinicians wishing to become Certified Gluten Practitioner (CGP) program to healthcare practitioners internationally. Dr. O'Bryan also spearheaded the highly successful Gluten Summit, an online conference that convened dozens of the world's top gluten sensitivity experts. The program reached tens of thousands of interested individuals worldwide. 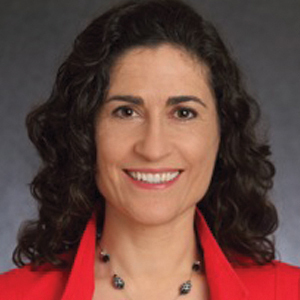 Lillie Rosenthal, DO, is an integrative physician with board certification in Physical Medicine and Rehabilitation. She is an expert in lifestyle management with a focus on injury prevention, pain management and biomechanics. As a dancer and a marathon runner, Dr. Rosenthal has both personal and professional experience. Dr. Rosenthal earned her DO at the University of Osteopathic Medicine & Health Sciences, and completed a residency at the National Rehabilitation Hospital in Washington, DC. Her approach to wellness and health emphasizes a balance of the mind, body and spirit. She successfully treats conditions such as low back pain, tendonitis and repetitive stress disorders. In her private practice, she provides state of the art care to world renowned musicians, dancers, choreographers and writers. She is a consulting physician for the New York City Ballet, American Ballet Theatre, Metropolitan Opera as well as several Broadway productions. Dr. Rosenthal has lectured nationally and internationally, and has been featured in several publications including the New York Times and Consumer Reports. Her national television appearances include the "The Dr. Oz Show" and various interview on her expertise on several health topics. Jacques Simon is a NYC-based attorney with a special focus on medicolegal issues in the field of holistic, integrative and functional medicine. Between 1989 and 1992 Mr. Simon worked as an attorney in New York City medium and small size boutique firms doing complex commercial litigation. By 1994 Mr. Simon went into private practice, ultimately focusing on representation of health care practitioners and health care entities regarding various issues. Those issues included defending practitioners in civil law suits brought by various insurance companies on alleged fraud grounds and addressing the disciplinary ramifications associated with the litigation. The scope of the practice also shifted its focus to the representation of alternative, holistic and complementary medicine and dentistry practitioners and entities against state officials with respect to various disciplinary and regulatory issues. Representation now includes preventive measures such as audits and compliance, practice structure and billing compliance as well as preliminary dispute handling vis a vis patients and state officials. Mr. Simon's forte and "trademark" litigation focuses on civil prosecutions of state officials and agencies aimed at stopping ad hoc administrative disciplinary proceedings against health care practitioners. Simon’s unique legal strategies are designed to save the practitioner's license, livelihood, and practice while preserving the practitioner's reputation and integrity in the medical community. For two decades, Dr. Mark Tager has been a leader in delivering unique programs and presentations that reflect the powerful connection between health and productivity. 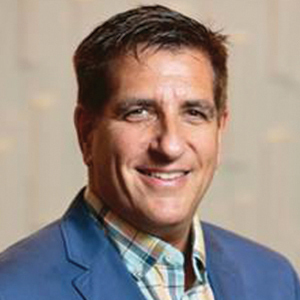 As a physician, consultant, and change agent, he has created health promotion and wellness programs for businesses ranging from Fortune 100 companies to small non-profits. As a medical student at Duke University Medical Center, he created one of the first training programs for medical students in nutrition. He also spent time training promotores de salud (barefoot doctors) in the mountains of Guatemala. On completing a Family Practiuce residency at the University of Oregon Health Science Center, Portland, Dr. Tager founded the Institute of Preventive Medicine, served as corporate Medical Director for Electroscientific Industries (NASDAQ: ESIO), and as the Health Promotion Consultant for Kaiser Permanente Oregon. As a consultant, Dr. Tager has combined his business knowledge with organizational development and communication skills to help medical device, stem cell, cosmeceutical, publishing, clinical laboratory and start-up companies. 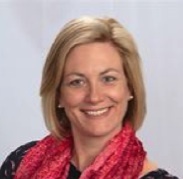 Dr. Tetlow is a Clinician Assistant Professor of Rehabilitation Medicine at Thomas Jefferson Medical College in Philadelphia, PA. She is board certified in Physical Medicine & Rehabilitation and is a holistic, integrative medicine physician. After obtaining her MD at the University of North Carolina-Chapel Hill, she completed a residency in Physical Medicine and Rehabilitation at Thomas Jefferson University, and also sought training and certification as a Yoga Therapist. The recipient of a Bravewell Fellowship, Dr. Tetlow completed the University of Arizona's Program in Integrative Medicine, where she completed more than 1,000 hours of study, working directly under Fellowship Program Directors Andrew Weil, MD, Victoria Maizes, MD and Tieraona Low Dog, MD, as well as other respected leaders and researchers in the field of integrative medicine. She also completed the Institute for Functional Medicine's Applying Functional Medicine in Clinical Practice (AFMCP) courses. Understand strengths and drawbacks of various practice models for prevention-oriented medicine. Make better use of broadcast media, social media & online tools for patient education & practice-building. Apply practical “nuts & bolts” entrepreneurial & management skills. Understand the value of the various credentials & certifications available in integrative medicine. The Heal Thy Practice 2014 lectures are intended for primary care medical doctors, (MDs), doctors ofosteopathy (DOs), broad-scope chiropractors (DCs), naturopathic physicians (NDs/NMDs), nurses, nutrition counselors, medical students, office administrators, and other health care professionals interested in improving the business aspects of their practice through prevention-focused, patient-centered medicine. Autoimmune conditions affect more than 23 million Americans, causing immeasurable suffering and cost. The conventional medical view is that most of these disorders are “incurable,” yet many of them are partially or totally reversible with comprehensive dietary and lifestyle changes aimed at healing the gut, reducing chronic inflammation, improving liver function, and eliminating food and environmental triggers. Dr. Blum outlines the multi-stage lifestyle program she has used successfully with hundreds of her patients. Over the past decade there has been a marked growth in awareness of gluten and related grain-based allergens as a symptom not just in people with celiac disease. Yet all the attention focused on gluten threatens to impose a sort of “tunnelvision” on clinical thinking. Dr. O’Bryan, an internationally recognized expert on food sensitivities, expands the view offering new insights on FODMAPs, agglutinins, lectins and other food-based triggers, and how to detect them. In her journey from an insurance-based rehab clinic where she worked as a salaried employee to her current interdisciplinary, team-based, direct-pay, nutrition-focused clinic model, Dr. Blum has experienced a wide range of practice structures, discovering the pros and cons of each. In this lecture, she shares the principles and key insights that have combined to make the Blum Center for Health one of the nation’s most successful independent integrative practices. Today’s online world can enable practitioners to project their knowledge, their expertise, and their skills far beyond the confines of the office or clinic. Webinars, online summits, and customized information portals are not just good practice marketing, they are increasingly a part of healthcare itself. In this lecture, Dr. O’Bryan explains how he was able to translate his knowledge of gluten sensitivity and other food reactions into one of the world’s most successful and far-reaching online education programs. The science of genomics is transforming all areas of medicine, and nowhere more so than in cancer care where gene-based tests are being used for everything from matching specific drugs to tumor types thus improving outcomes and reducing side-effects to detecting modifiable metabolic predispositions to cancer long before disease emerges. Dr. Kazmi, a medical oncologist at Cancer Treatment Centers of America, describes how genomics fits into CTCA’s integrative care model, and how it enables her to individualize and personalize her treatment protocols. In today’s healthcare systems many clinicians feel highly disconnected: from their patients, from their families, from their vaues and from the original calling that led them to become healers. In this lecture, Dr. Tager explores important questions that all clinicians need to ask: Should I stay or should I go? Is it reasonable to remain within my current practice structure or do I need to make significant modifications? Do I need a new path entirely? Will a series of incremental improvements get me to where I want to go or is my current situation demanding a major change? He lays out a coherent process for thinking through these questions & arriving at a clear vision for re-engaging with one’s personal & professional life. How do you let your community know about your practice and its unique offerings? What’s the best way to attract and engage new patients? How can you create effective and up-to-date communications strategies without spending a fortune? With his balanced blend of wit and practical know-how, marketing maven James Maskell answers these and many other key marketing questions in this engaging lecture. With nearly 40% of all Americans in the 60+ age bracket taking 5 or more medications daily, the potential for drug-induced nutrient depletions is extremely high. Many commonly used prescription drugs—acid blockers, steroids, sulfonylureas, antihypertensives, statins, to name just a few—can cause severe and clinically significant nutrient depletions. Dr. Gladd, who developed an easy-to-use depletions calculator, reviews the most common drug induced depletions and how to rectify them. Multiple medications mean exponential chances of adverse interactions. Elderly people are especially vulnerable, but with the increasing pediatric use of prescription drugs, depletions may begin during childhood. Dr. DeSilva details the ways in which polypharmacy accelerates the aging process via multiple physiological mechanisms, and offers practical strategies for identifying and eliminating drugs that are no longer necessary and may be causing harm. Jacques Simon is one of a handful of attorneys in the US who focus specifically on medicolegal issues in holistic & integrative medicine. Throughout his career he has represented a wide range of practitioners, and has also taken legal action against biased and punitive state medical boards that take unwarranted action against holistic practitioners. In this lively lecture, Simon provides ample tips for medicolegal protection and clarifies where the regulatory lines are drawn on a host of holistic, functional and integrative therapies. According to a recent survey, ~95% of US clinicians say they sometimes prescribe antibiotics when they are not necessary, often in response to pressure from patients or out of fear of “missing something.” Yet inappropriate antibiotic use is a major driver of drug-resistant infections. Dr. Sarath Malepati, a general surgeon in Los Angeles, believes its time for doctors and nurses to address this deepening problem. In this lecture, he shares his strategy for handling patient expectations around antibiotics, and details a unique and effective botanical-nutraceutical combination he has developed for patients who demand Z-Paks. The role of media in medicine has never been greater. From mobile apps and custom information portals to online summits and “old-school” print and broadcast, the range of media now available to clinicians has also grown markedly. Dr. Ron Hoffman, a holistic medical pioneer and early adopter of media for practice outreach and public education, draws on 30 years of interaction with patients and the public via print, broadcast and online media to help you navigate today’s medical media landscape. In the past decade, public interest in holistic medicine has soared, and mainstream acceptance of holistic approaches has also grown. This opens up many new opportunities, yet it brings with it the risk that holistic and functional medicine will be “conventionalized” and forced to fit worldviews and practice models that are antithetical to health and healing. In this provocative lecture, Dr. Evans envisions a truly integrated health system that cultivates truly integrated practitioners and outlines practical steps for getting there. There are literally dozens of credentials and certifications now available for holistically minded clinicians. Which ones are based on good science? Which ones have traction in the healthcare marketplace? Which are worth the investment of time, money and energy? In this lively session, panelists put many of the popular credentials under the microscope, and attendees add their perspective on the values and drawbacks the various certifications. Somatic movement therapist Anita Teresa Boeninger draws on the principles and practices of Aharaj Yoga—a unique fusion of yoga postures and elements from gentle martial arts like Tai Chi—to create a series of simple but powerful exercise sequences to help you move toward your highest personal and professional goals. Dr. Menolascino, who runs a thriving functional medicine center offers attendees his “Practice Transformation Toolkit,” a set of templates ant tips for everything from practice marketing to evaluating potential ancillary services that will help clinicians implement personalized medicine and create new revenue streams. Drawn from his own experience in independent practice, the toolkit offers field-tested solutions to help you improve clinical outcomes and restore health while optimizing your time with patients. Any major life change—even a positive one—brings with it a certain amount of internal and external stress. The process of transforming a medical practice is no exception! Dr. Tetlow, who runs a successful integrative clinic in Philadelphia, will share the self-care and stress-reduction strategies she has found most helpful for dealing with the personal, familial and financial strains that inevitably arise during the process of re-envisioning and re-creating your practice. team up to share a cornucopia of apps and online tools they’ve found most helpful for supporting lifestyle-based interventions, improving patient satisfaction, and taking the headaches out of practice management. transform your practice. Drs. Kopera and Evans will explore digital health technology that can help you take advantage of new and existing market opportunities. For clinicians who are tired of working for others and practicing in settings that simply do not allow them to deliver high quality healthcare, Dr. Derrick DeSilva offers guidance on creating an action plan for independence. In this 3 hour intensive, Dr. DeSilva covers everything from defining and communicating one’s core strengths to creating new and sustainable practice revenue streams.